Ancient tombs are always surrounded by an aura of mystery. When in 2008, archaeologists discovered the modern subject in 400 years of Chinese tomb in mysticism began to believe even the skeptics. For some - it is proof of the possibility of time travel. Others wonder how believable this case. A group of archaeologists and journalists to shoot a documentary on the excavation of the tomb sealed Ming Dynasty in Shanxi, in the south of China.When one of the coffins were purified from the ground, it was discovered a strange discovery. "When we purified the coffin on the ground, dropped a piece of stone, and there was the sound of metal - said Jiang Yanyu, former curator of the Museum of the autonomous region of Guangxi, reports Daily Mail. - We picked up the object and saw that it was a ring. 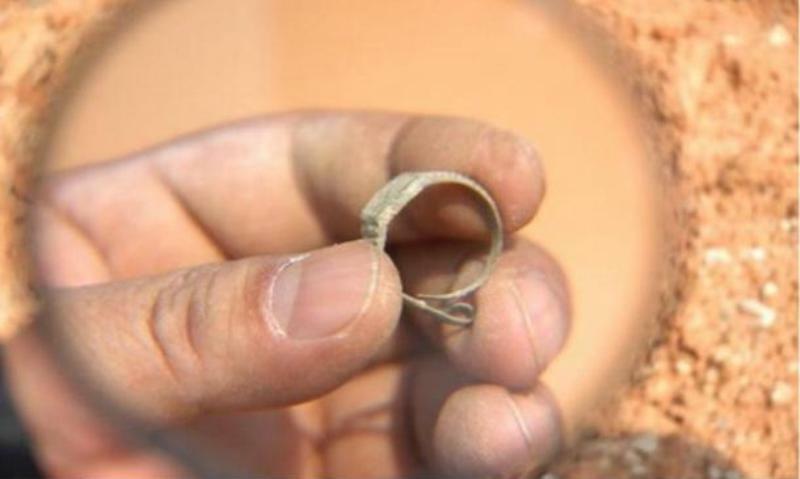 When we cleared it from the soil, they were shocked: in fact it was a clock in the form of a ring. " A strange metal object was a gold ring with a dial on the front. The hands on the clock showed 10:06. The most striking thing is that on the back side was an inscription in English Swiss or Switzerland. Swiss Made - relatively modern mark on goods which means "Made in Switzerland". How inside the tomb Ming Dynasty (1368-1644 gg.) Turned the subject, which was made no earlier than 1848? Switzerland State under its current name since 1848 is known. Before that it was called the Swiss Union. Watch ring gained popularity in Europe after 1780 believed that the earliest clock ring belonged to the English Queen Elizabeth I, she ordered them in 1588. In addition, in 1755 the Parisian watchmaker Caron made a clock-ring which the manufacturer key . But in China in the era of the Ming they were not known.However, Swiss watches were not found on the outside of the grave and the coffin inside. The most fantastic version - the ring was dropped time travelers. Others believe that the strange artifact was dropped by someone in the last century, it dragged shrews and other rodents, and eventually he found himself inside the grave. 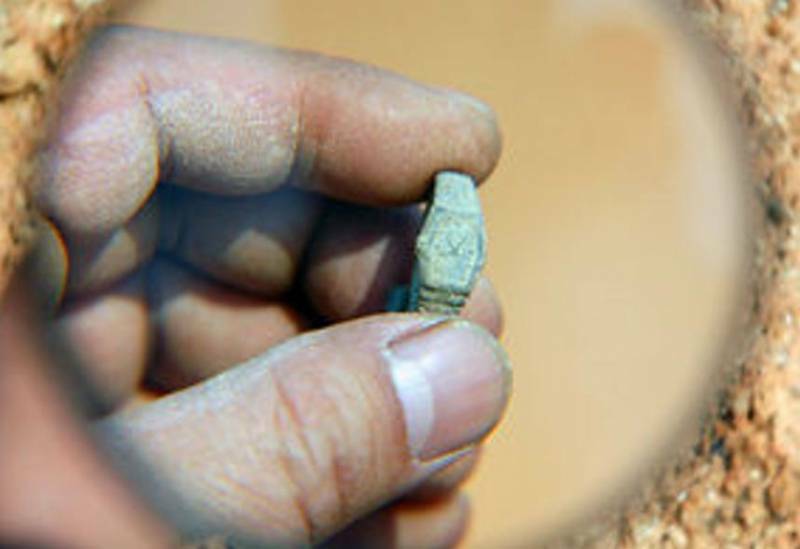 It is possible that "sealing," the grave was not so reliable as reported by Chinese officials and archaeologists. Maybe it discovered grave robbers. Although, according to reports, none of the ancient Chinese artifacts in the tomb has not been damaged or stolen, as is usual in such cases. Or maybe this whole story just fiction? Be that as it may, this is a godsend given food for the imagination of many people who have tried to understand how this unusual artifact was inside the grave.